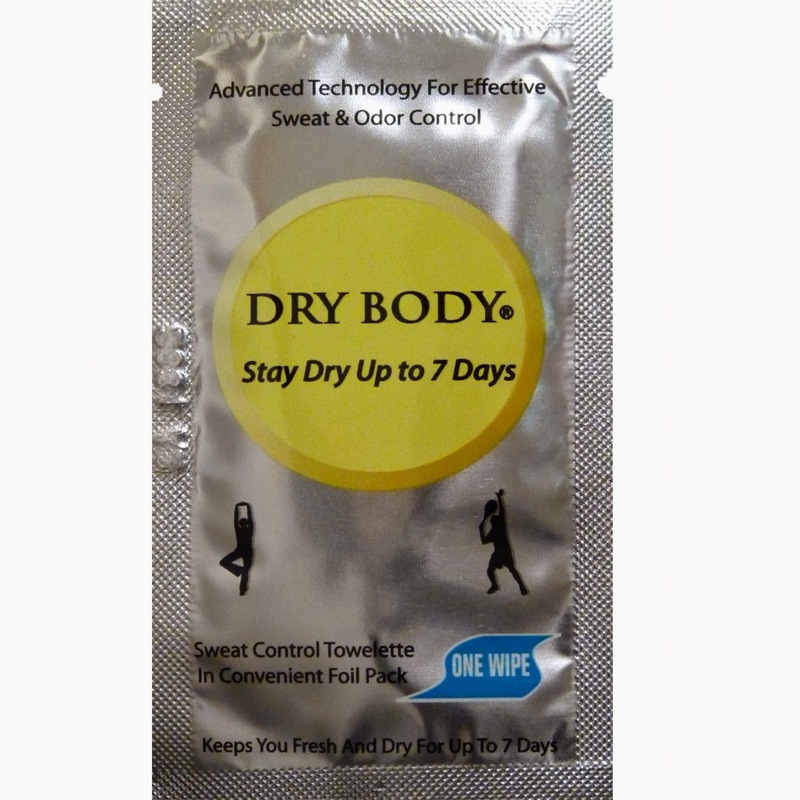 There has been no solution available in the podiatrists office for sweaty feet until now with Dry Feet 15% solution. 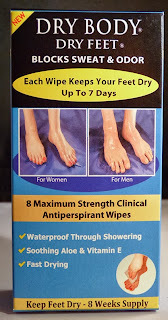 Podistrists are recommending it for all of their patients to solve the problem with irritating sweaty feet. 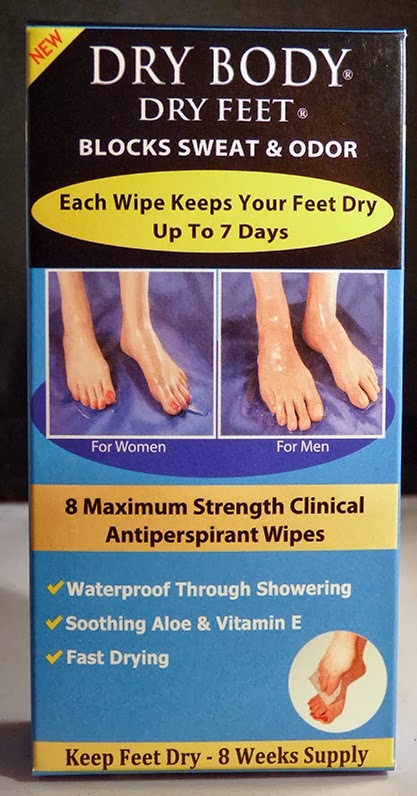 This solution in the form of a wipe 6" x 4" will actually stop your wet sweaty feet for up to 7 days.